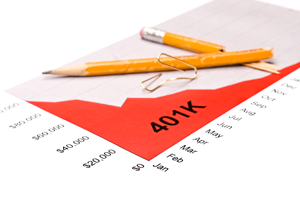 Have you ever wondered whether your employer’s 401(k) plan is being managed well? Does it seem like all your investment options come with high fees and expenses? Your employer has a duty to manage the 401(k) well. You shouldn’t be saddled with high fees and expenses when better investment options are out there. In May of 2015, the United States Supreme Court ruled unanimously against an employer, Edison International, because it had failed to properly monitor the investment options in its 401(k) plan, and it had left its employees with poor investment options. The case name is Tibble et al. vs. Edison International et al., and in this case, the Court ruled unanimously that Edison had breached its fiduciary duties in managing its 401(k) plan. The Supreme Court broadened the responsibilities of 401(k) managers. The 401(k) plan participants had argued that Edison acted imprudently by offering six higher priced retail-class mutual funds as plan investments when materially identical cheaper institutional-class mutual funds were available (the lower price reflects lower administrative costs). Expenses, such as management or administrative fees, can sometimes significantly reduce the value of a 401(k). Under trust law, your employer has a continuing duty to monitor 401(k) investments and remove imprudent ones within a reasonable period of time. As a fiduciary for the plan, your employer must discharge their responsibilities “with the care, skill, prudence, and diligence” that a prudent person “acting in a like capacity and familiar with such matter” would use. And 401(k) plan participant may file a lawsuit and allege their employer breached the duty of prudence by failing to properly monitor investments and remove imprudent ones, as long as the alleged breach of the continuing duty occurred within six years of suit. The bottom line is that plan managers have a duty to continually monitor their plan’s investment options and to insure plan participants receive the best bang for their buck. 401(k) plans are already risky enough, without having to pay higher fees. If you notice that you are stuck with expensive, high fee investments in your 401(k) plan, then your 401(k) plan managers may have failed to monitor investments properly and remove imprudent ones. Please contact The Law Office of Jared A. Rose to discuss whether you might be entitled to compensation.